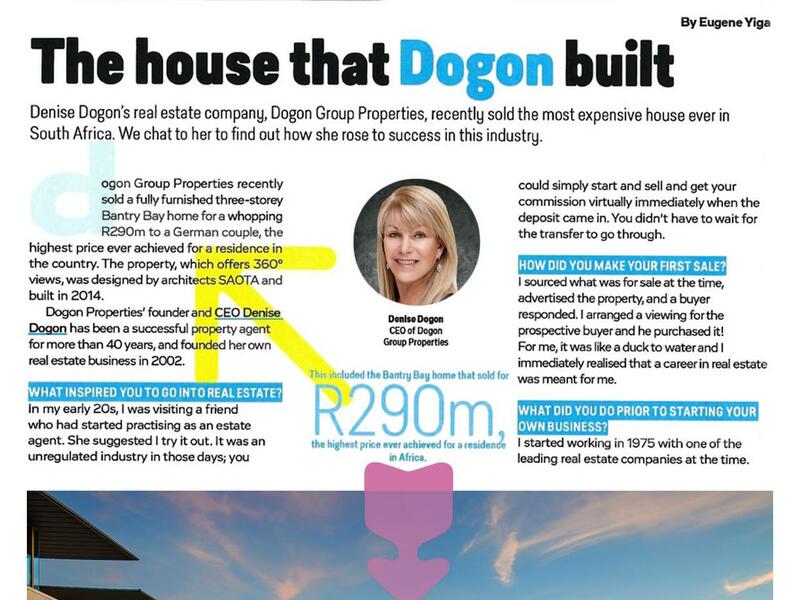 Denise Dogon's real estate company, Dogon Group Properties, recently sold the most expensive house ever in South Africa. We chat to her to find out how she rose to success in the industry. Dogon Group Properties recently sold a a fully furnished three-storey Bantry Bay home for a whopping R290 Million to a German couple, the highest price ever achieved for a residence in the country.